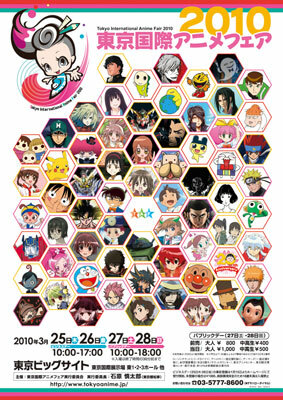 There will be so many special events, such as talk shows of popular voice stars of anime works, lectures about designs of anime by pro anime artists, screenings of special anime films. Some state-of-the-art anime programming and filming technologies are to be introduced and demonstrated there as well. One of my friends is going to work at the venue as a volunteer interpreter of English, as a lot of foreign anime fans are expected to visit there. I hope this event will be one of good occasions to promote our Japanese anime culture even more so than the current degree to the both domestic and international communities.